With the campsite's covered and heated swimming pool, you'll be able to bathe from the beginning to the end of your stay, without having to worry about the temperature or weather outside! This very simple pool will be perfect for doing a few lengths or simply for enjoying the water with your family. There's also a safe paddling pool for the little ones to enjoy the water, with parental supervision. You'll be able to soak up the fun of the water with the whole family! Fancy the idea of bathing, relaxing on a sandy beach, a spot of fishing or some hiking? 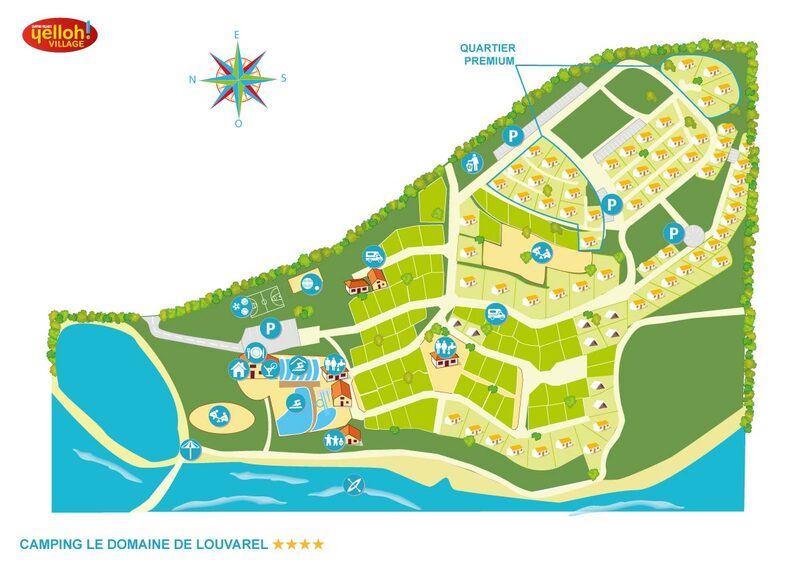 Then the camping Le Domaine de Louvarel has just what you need! Surrounded by a little path that's perfect for walks, this lake is a real oasis of nature and coolness. There's even a special bathing area there, in the heart of the campsite, just beside the restaurant! Fishing permits, on sale at reception, provide a different way of enjoying this lake!